The successful outcome of a relocation is often determined from the quality of the packing materials that you have used. This is why, we as professional and experienced movers work only with the best packing supplies on the market. This way we are able to look our clients in the eyes and ensure them that their belongings are safely packed and that nothing bad will happen to them during the loading and transportation stages of their moves. 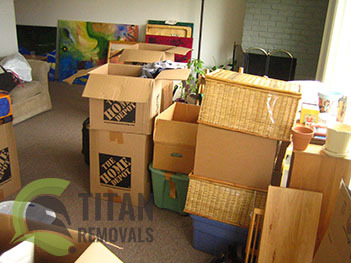 If you are handling the packing stage of your relocation on your own and you are on the look for top quality packing supplies, know that you can stop searching as we sale and deliver the best packing materials that money can buy. We sale everything from common cardboard boxes to hardtop containers to furniture blankets. The only thing that you have to do to purchase our packing materials is to come see us. The packing supplies that we sale are 100% eco-friendly and recyclable. They can also be reused once the move is over as storage containers in which you can keep your non-essential possessions. If you cannot come and pick up the packing materials that you need have no worries about it. Just give us a call and tell us exactly what you need and we will bring them to you at the day and time that best suits you. Know that we sale and deliver our packing supplies at the most affordable prices in the city. We work with reasonable prices because we truly believe that everybody should have an easy access to top notch packaging materials so that they can properly and safely prepare their belongings for their upcoming relocation. We also have specialised packing supplies such as wardrobe boxes which are the ideal solution for packing clothes that tend to wrinkles or tear easily and wooden crates which are used for the transportation of works of art. As you can see we do indeed provide a wide range of high quality packing materials, so stop wasting valuable time and get in touch with us, so that we can solve all your packing problems.